They are located in NW Oklahoma, 5 miles west of Watonga. Curtis and Donna are both Native Oklahomans and are of Native American descent. 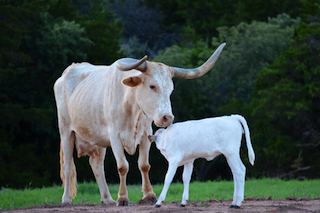 They both fell in love with Longhorn cattle a few years back, but have always admired the Longhorn Breed of cattle. 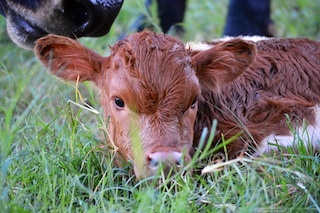 What started as an idea to have 1 trophy steer in the pasture had developed into a passion for Longhorn cattle. Curtis and Donna are excited about there small group of foundation cows that they have acquired over the last few years, with help from friends and especially Randy and Jamie Briscoe. 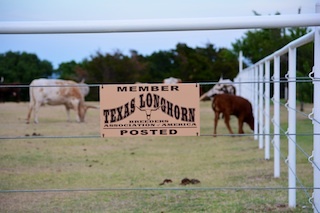 Randy and Jamie knowledge and generosity of Longhorn cattle has been the biggest influence on their program. 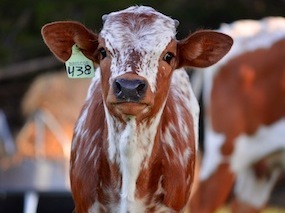 Native Cattle Company uses AI and ET to produce top quality Longhorn cattle. They have a heavy focus on the bloodline of Hunts Command Respect, JP Rio Grand and Round Up.